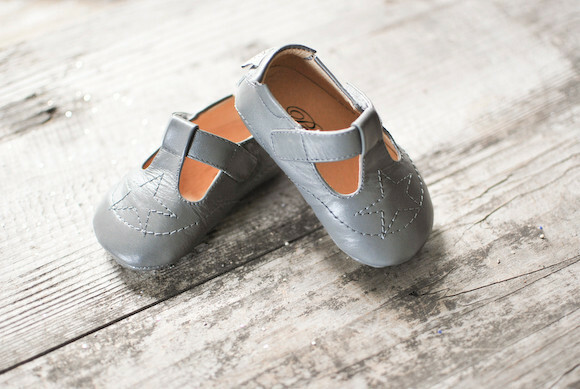 Made with premium soft leather, this little shoe features a dreamy stitched star detailing on the top, an adjustable strap, as well elastic over the instep for adjustable and comfortable fit. 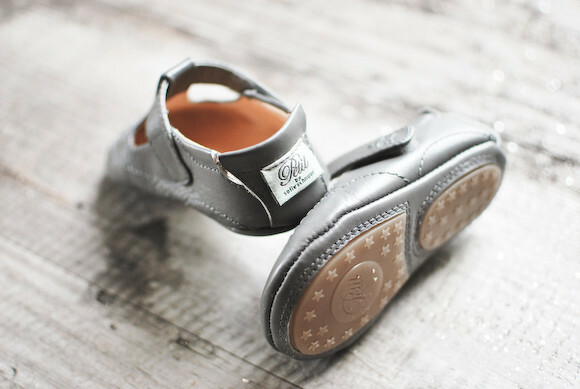 The bottom features non-skid rubber stars and on the inside, a softly padded leather insole for comfort. For the best fit, we suggest that you purchase a pair that is about 1 cm bigger than the measure of the feet. 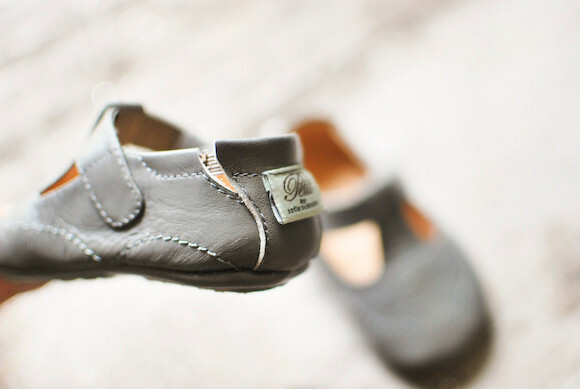 Perfect for a little boy or girl, and incredibly versatile and suitable for many different outfits. Denmark 100% leather.